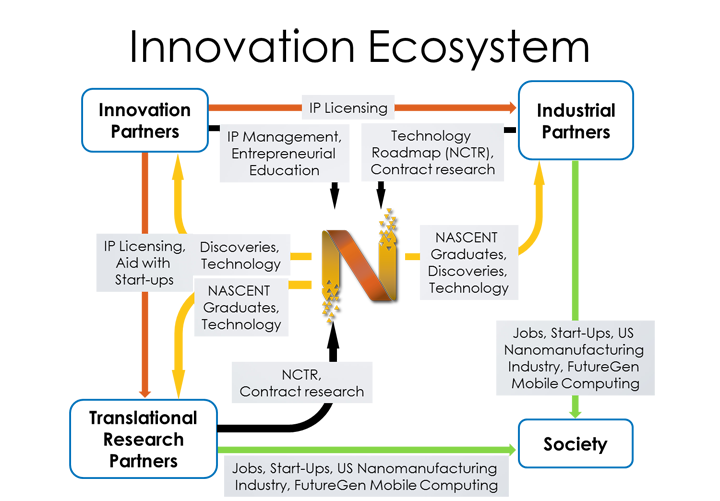 The NASCENT Center’s innovation ecosystem will provide the environment to accelerate the design, development and deployment to society of innovative nanomanufacturing processes, associated computational and metrology tools, mobile computing devices and a highly trained and creative technical nanomanufacturing workforce. The NASCENT Center ecosystem and its flows of information, technology and people are illustrated in the figure above. At the core is the Center of research and educational activities, which generates discoveries, technology, innovative ideas and the graduates and faculty to transfer and apply these. 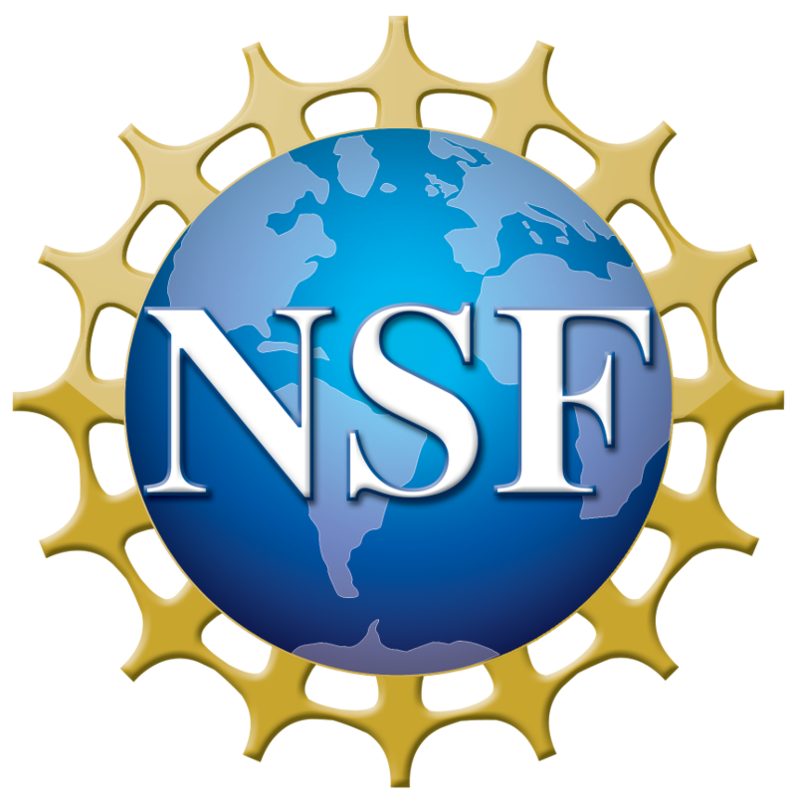 These flow to the industrial practitioner, innovation and translational research partners, with each of them providing their unique output and feedback to the Center. Industrial practitioner partners will provide strategic guidance in all aspects of research, education and commercialization. Each partner designates a representative to serve on the Industrial Advisory Board (IAB). IAB members will provide advice on research activities and information on market dynamics and constraints in the marketplace. The IAB will also help to create and maintain the NASCENT Center Technology Roadmap (NCTR).